Piacenza is a picturesque region located just over an hour south of Milan, with an ancient wine-making tradition dating back to Roman times. In fact, there is even a funny anecdote about Cicero, who (about two thousand years ago) embarrassed his enemy Lucius Calpurnius Piso for drinking “one glass too many of the delicious Piacenza wines” during one of his speeches at the Senate. While the region fell out of vogue for centuries, in the last 15 years there has been a breath of fresh air breathed into the wine industry by passionate winemakers. Fine wine estates like La Stoppa and Torre Fornello are producing fantastic wines, and are beautiful wineries to visit. The region is noted for its singular varietals such as Gutturnio (highly regarded red wine), Monterosso (white wine from Val d’Arda), and Trebbiano (a white from Val Trebbia). Other typical wines in the Piacenza hills include Barbera, a robust red wine, Bonarda, a sweeter red, and the whites from Valtidone. On this tour, you might also try the sparkling Malvasia wines, delightfully refreshing. This is a fun, convivial and fascinating trip and a great way to treat yourself if you are looking for a luxurious wine tasting tour from Milan. 10 a.m. Your private driver will meet you at your Milan hotel and you will travel south into the Po Valley. 11:30 a.m. 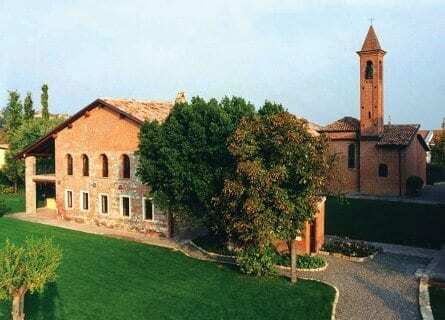 Your first stop will be at an utterly charming estate in the area, such as Torre Fornello. This gorgeous property is a treat to visit and you will also hear about some surprising local legends. You will taste an array of wines including the stunning Malvasia Dolce, one of the best wines in the region. 1 p.m. Following an exhilarating morning of wine tasting, enjoy a delightful lunch in a wonderful trattoria near the Rivalta Castle which is located in a 15th Century Inn. You will taste an array of local dishes, all paired with Piacenza wines of course. This part of the Po valley is famed for its gastronomy, especially its cheeses. After lunch, enjoy an excursion to a local medieval hamlet for a digestive walk, before more wine tasting. 3:30 p.m. You will be welcomed at a second winery, such as the famed La Stoppa estate (winner of Three Glasses from Gambero Rosso, the highest honor). The winery and vineyards are spread out over 52 hectares and the property is crowned with an elegant medieval tower. In 1973 the Pantaleoni family took on the estate invested heavily in the restructuring of the vineyards and wine cellar. Today La Stoppa’s investment has paid off and they are one of the most highly regarded wineries in Italy, producing a limited number of quality wines. They use local varietals such as Malvasia, Barbera and Bonarda as well as foreign varietals like Cabernet Sauvignon, Merlot and Pinot Noir. A VIP tour and tasting is in store, enjoy! 5 p.m. On the way back to Milan if time permits, you might stop for a visit to a nearby medieval village such as the marvelous Castell’Arquato. 6:30 p.m. Transfer back to Milan. This concludes your fantastic day out in the wine country. We felt very welcome at the wineries. The local restaurant where we had lunch was beautiful and had a small and cozy atmosphere. I will recommend Cellar Tours to every person that I meet who are interested in such an arrangement. We will also have you in mind when arranging trips for our clients again. I think that your Internet pages combined with our email-conversation gave me an impression of a serious company with much knowledge. Everything that you showed on your web pages and in your offer to us, was just as promised.